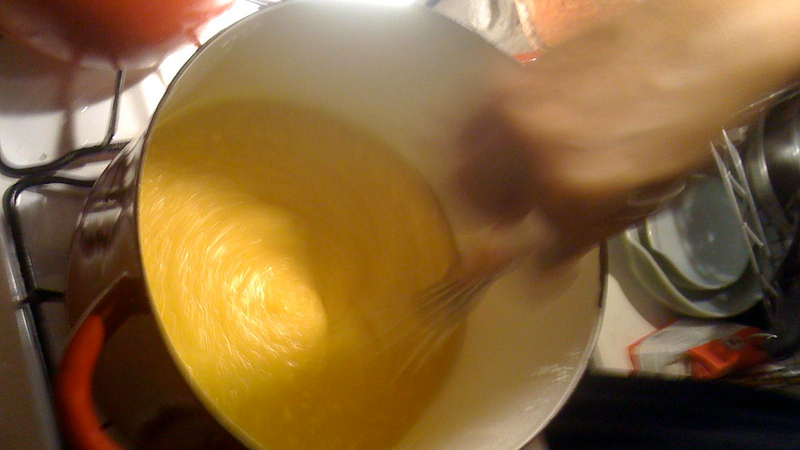 Polenta usually requires a substantial amount of hands-on time. If it's a weeknight and you don't have time for all that stirring and whisking, try this quickie method. Maria Speck, author of Simply Ancient Grains, offers the simple solution, outlined on Food52: Pour boiling water over the cornmeal in the morning, and then when dinner rolls around, finish it off with about two minutes of whisking and then simmering for about 10 minutes. Like making overnight oatmeal, you'll spend less active time cooking because you're giving the cornmeal many hours to absorb the water. And you'll probably prefer it to instant polenta.